Bulgarian Corporate Law allows foreign nationals to remotely register a company in Bulgaria by granting power-of-attorney to a Bulgarian Law firm. The lawyers at Bulgarian Companies Limited will assist you to remotely register your Bulgarian OOD company starting from only 399 EUR. Using our company formation services, we do not charge maintenance or annual fees for the registered office address and scanned business mail service. The shareholders’ liability to creditors is limited to the amount of capital deposited in the company. Liability does not extend to the individual shareholders’ assets. 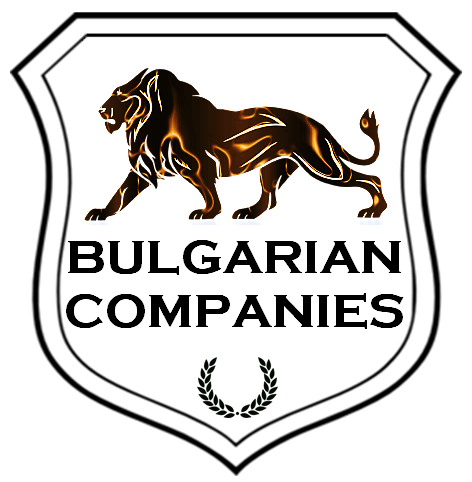 The only difference between the Bulgarian OOD company and the Bulgarian EOOD company is the number of shareholders. The OOD company is limited liability company with two or more shareholders. You may order a Bulgarian OOD company paying through PayPal checkout with your debit or credit card. You need to provide a copy of an identification document (passport or national ID card). 3 (or more) examples for company’names. Name of the future company’s manager. Name of the future company’s capital sole proprietor. Amount of the foundation capital preferred*. Lowest setup fees within the EU. Lowest required founding capital – 1€ . Lowest Tax on Dividends in the EU – 5% only. Lowest Tax on Corporate & Personal Income – 10% flat rate. Lowest Social security contributions in the EU. VAT within the EU – 0%. Easy, Fast and Secure incorporation service. Affordable accounting & legal services. Company incorporation within 24 hours. Double Taxation treaties with 70+ countries. No fee for a registered office address! We will provide a top location registered office address for your Bulgarian OOD company free of charge for as long as you need! No maintenance, annual or hidden fees! Guaranteed lowest price! If you are offered a lower price, we would be happy to beat it! Competitive pricing for Accounting Services in Bulgaria! Free scanned business mail service! You may purchase a Bulgarian ready-made OOD company. You may register a holding company in Bulgaria. Please take a look at our prices to see the most competitive prices for establishing Bulgarian companies. Drawing up the set of incorporation documents (Power of Attorney, Memorandum of Association & Declarations). Each director or manager will have to sign a Specimen and attest at the nearest Bulgarian embassy or consulate, or a local notary public. Opening of a company bank account for the deposition of the founding capital. Translation and legalization of the Specimens (if not signed in front of a Bulgarian notary or at Bulgarian embassy or consulate). Filling all documents at the Bulgarian Company Register. Your Bulgarian OOD company is registered within 2 working days. The deposition bank account is closed; applications for a business bank account and Bulgarian VAT number can be submitted. If you purchase two or more Bulgarian OOD company packages at the same time you will receive 20% discount from your order. Becoming our client you will benefit from 10% discount from all future orders with us. For more details about registering a Bulgarian OOD company, you may request a call back. To change any of your company circumstances, you will need to authorize us to act on your behalf and at your expense related to the particular change. The authorization requires few documents to be attested in the nearest Bulgarian embassy or consulate, or apostilled. Changes in company circumstances take up to 3 working days after receiving authorization. If you have any questions regarding company changes, please do not hesitate to contact us. Plovdiv is the 2nd biggest city of Bulgaria and also very popular as a location for international companies. The city of Plovdiv is especially popular among IT companies. This is because of the excellent IT-programs offered by the universities in Plovdiv and the amount of available IT specialists in this city. Also in Plovdiv it’s easy to find multi-lingual and well educated employees. Most used languages are English, German, French and Russian. Additionally to the above benefits, accounting and legal services in Plovdiv and associated company costs are substantially lower than in Sofia. Registration of a Bulgarian Private company. For more details about Bulgarian invitation letters and applying for a Business visa, you may request a call back.